When I first started out it was feast or famine for me as I had 3 kids to provide for and personally I preferred feast! That meant I really had to work long, hard hours to get my client base full in the beginning. (I’m talking 50-80 hours a week). It was not easy! First off, you’ll want to sit down and write out a few marketing campaigns for ways to find clients. Write out each marketing strategy and then break it down into easy to handle tasks that you can check off and complete. Develop and implement different marketing campaigns every season to help you maintain your blueprint for success. Research email marketing programs like Aweber, Active Campaign, Mailchimp, Constant Contact, Get Response , etc. Sign up to an email marketing program (I use ActiveCampaign because through my research I found it was the best program for me as I am an affiliate marketer and some programs like Mailchimp frown upon affiliate links. 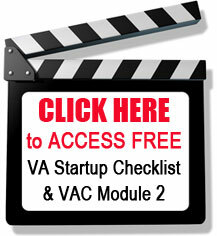 Make sure you do your due diligence researching the right program for your business needs. Think up an enticing lead generator you can give away for free if a person signs up like a tip sheet, handy checklist, planner (these are hot right now) or ebook to entice your peeps to sign up. Everyone loves freebies so put your best foot forward to bribe your user for their email address. Develop this lead generator giveaway (you’ll have steps to that too)! Put a form on your website, with a graphic image and call to action to collect emails. Start marketing your newsletter signup landing page on your social networks, in your blog posts, on your business cards, email, etc. This is an example of just ONE marketing campaign broken down step by step for you. You’ll want to implement MANY of these types of marketing campaigns if you want a consistent full client base. Join some online groups/forums where your market hangs out and start networking online. Attend and/or get a booth at Tradeshows and conferences your market hangs out at. NOTE: I did a ton of networking both offline and online but found that it takes some time (usually months) to see results. Forming a relationship (which is what netWORKing is all about) doesn’t happen overnight. As you can see, getting clients is HARD WORK and takes up a ton of your time! It didn’t take me long to learn that my time was worth money in my hands. Just 40 hours of me marketing myself @ $50/hr (my hourly rate at the time) was costing me $2,000! I wanted an easier (and cheaper) way to find clients! So I did some research and found out there were job boards where prospecting clients came to hire Virtual Assistants. HOW COOL IS THAT? These websites did all the marketing for me (saving me all kinds of time) and all I had to do was pay a small fee and I’d have access to their job board to easily fill up my client base. As much as I didn’t think I had the money to part with (being that I had no clients yet LOL), I also knew that starting up a new business wasn’t going to come without spending a bit of money on it. 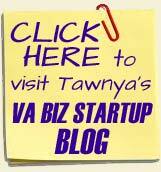 I don’t know one business out there that doesn’t have overhead expenses so why should my VA business not have them? I had to immediately switch my mindset from “I can’t afford this” to “I need to invest in my business”. Plus it was just common sense to spend a bit of money to make a lot more money in a shorter amount of time. 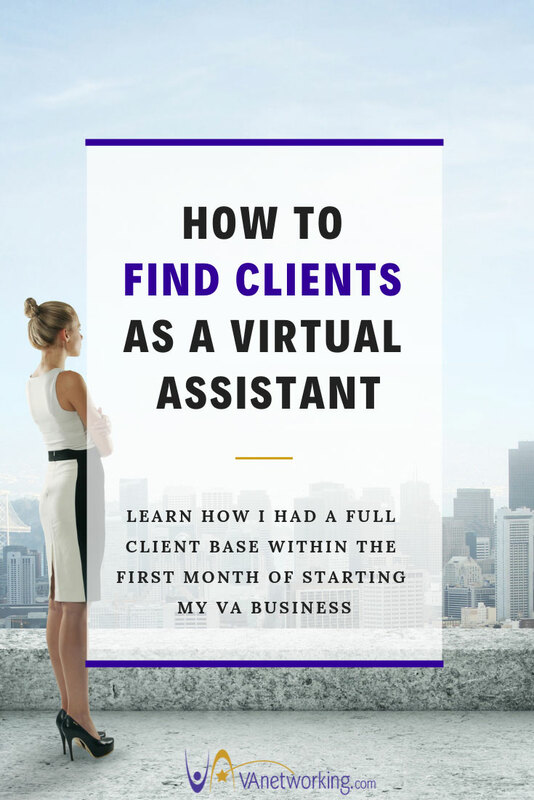 So my advice on how to get a full client base in your Virtual Assistant business? Yep, you are right, stay away from those freelancer job boards as your business will not stay afloat for long working at or below minimum wage. 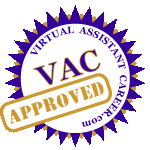 If you want the hourly rate that you know you are worth ($40-$60/hour) then you need to join reputable, well known, Virtual Assistant organizations online (like our VAinsiders.com) that have quality job boards that pay what a VA is actually worth. 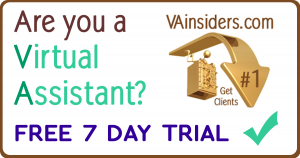 At VAinsiders.com we actually market our website globally to find potential clients for our paid members. 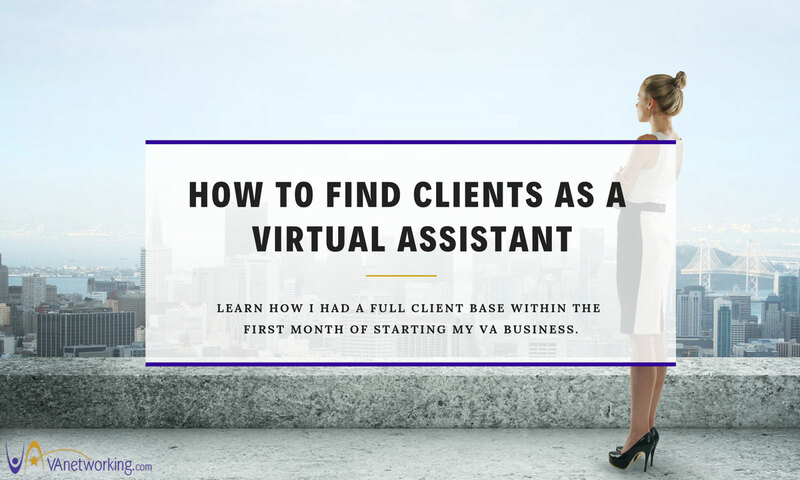 Find VA organizations who are out there educating potential clients about the benefits of hiring a Virtual Assistant and what to expect when hiring one. Clients that post RFPs at these job boards understand the value of working side by side in a long-term relationship with their VA and will pay a high price for these services. AND that is how I had a full client base within the first month I started my VA business. I joined every (not just one, but EVERY) reputable VA organization out there that had a job board for VAs. Don’t know who they are? Just ask your fellow VAs and they will tell you. I’d love others to share their comments too so that new VAs can get this question finally answered for them. With that being said, I wish every Virtual Assistant reading this post success and a full client base next month in your business. Achieve this by joining our VAinsiders.com and getting access to our busy, high-quality job board. We are cheering you on here! If you have any questions, just ask below in the comments.